Is the sunburst Gibson Les Paul Standard really the greatest electric guitar ever made? This books aims to answer that question, even if so many players and collectors have already sounded a loud "Yes!" Famously played by Eric Clapton and Jimmy Page, this fabulous instrument, known simply as the Burst, has become a legend. Through a series of interviews with players, collectors, guitar-makers, dealers, and more, Sunburst unravels a myth and puts into sharp focus how 1,400 or so guitars produced at the end of the '50s became the most desirable electrics of all time. This guitar - a solidbody electric with mahogany body, twin humbuckers, and a two-color sunburst maple top - was first made from 1958 to 1960. The book examines those originals, the various reissues over the years, and the latest efforts by Gibson to re-create the hallowed guitars made more than 50 years ago in its original factory in Kalamazoo, Michigan. 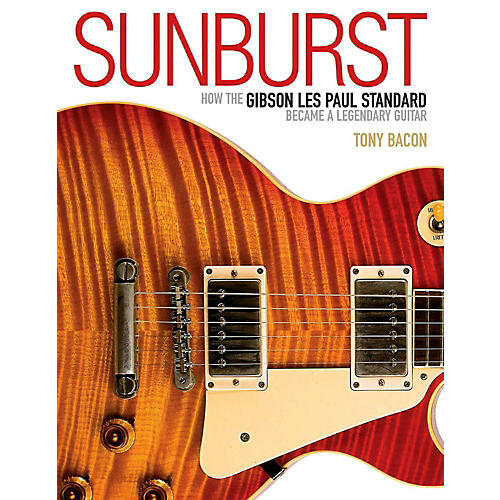 Sunburst is the latest book in Tony Bacon's bestselling guitar series, with a thoroughly researched story partnered by a gallery of full-color pictures of great guitars, rare memorabilia, and famous Burst players - from Keith Richards to Joe Bonamassa and Jeff Beck to Billy Gibbons. Its reference section reveals production details and dating clues for this most enigmatic and revered instrument.